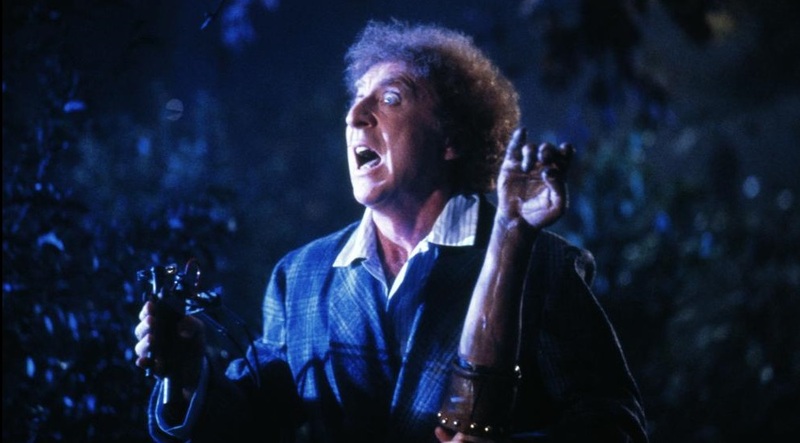 Gene Wilder, the leading man known for teaming with Mel Brooks on the hilarious masterpieces Blazing Saddles and Young Frankenstein, has died, his family announced. He was 83. The two-time Oscar nominee also starred as a quirky candy man in Willy Wonka & the Chocolate Factory (1971) and in four films alongside stand-up legend Richard Pryor. Wilder's nephew, Jordan Walker-Pearlman, said that the actor died Sunday night at home in Stamford, Conn., after a three-year battle with Alzheimer's disease. "The decision to wait until this time to disclose his condition wasn’t vanity," Walker-Pearlman said, "but more so that the countless young children who would smile or call out to him, 'There’s Willy Wonka,' would not have to be then exposed to an adult referencing illness or trouble and causing delight to travel to worry, disappointment or confusion. He simply couldn’t bear the idea of one less smile in the world." Wilder will forever be remembered for his ill-fated Hollywood romance with Gilda Radner. Less than two years after they were married, the popular Saturday Night Live star was diagnosed with ovarian cancer and died on May 20, 1989, at age 42.